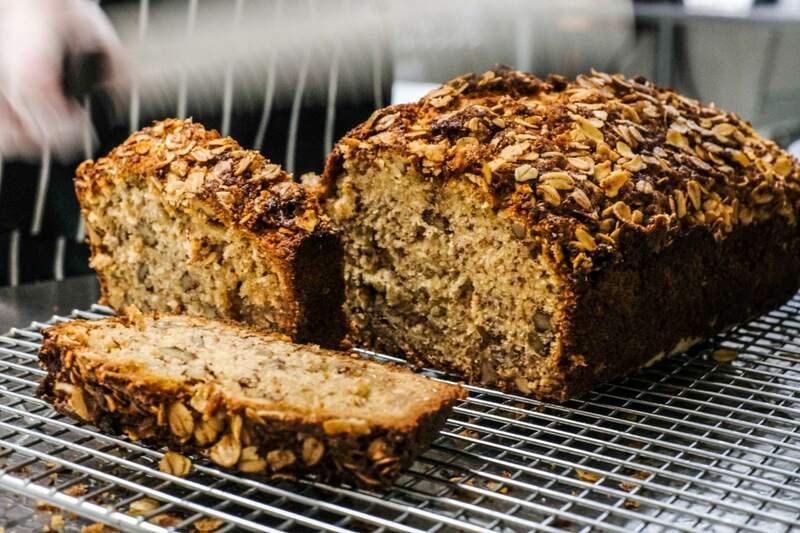 Specialty coffee roaster Populace Coffee is bringing their specialty drinks and baked goods to a new retail location in downtown Petoskey this summer. 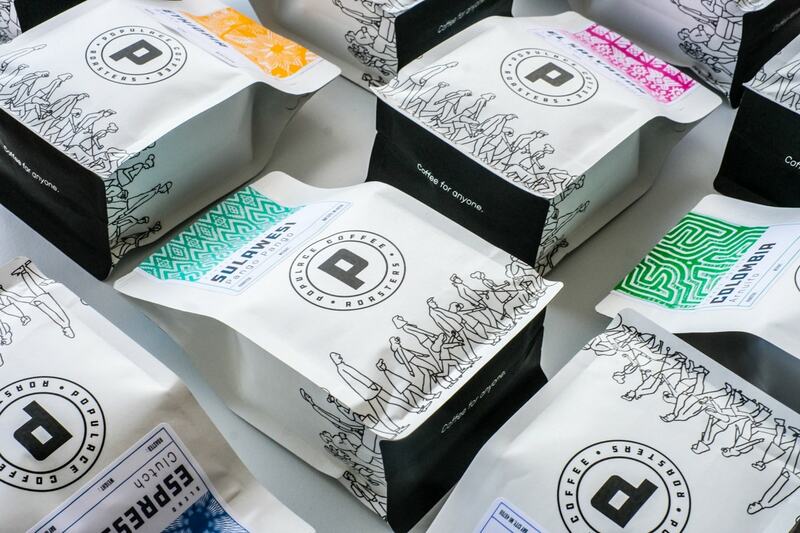 Populace Coffee has been serving wholesale customers since 2010 throughout Michigan and the US. 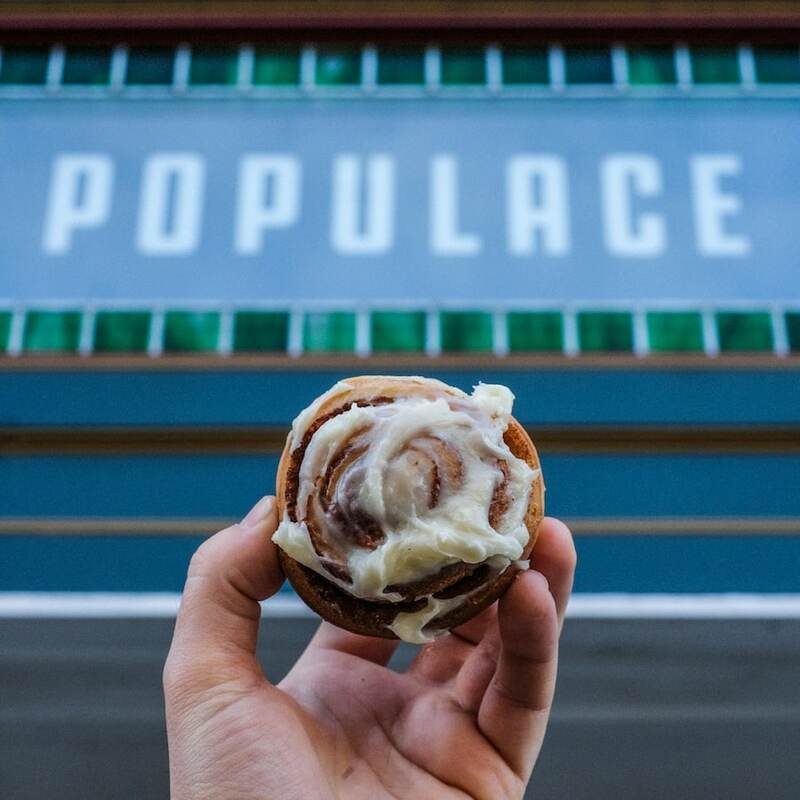 In 2017, they expanded the Populace brand to include their flagship retail location in Bay City where they serve specialty drinks and baked goods. Founder Andrew Heppner says Populace was one of the few boutique coffee shops in Michigan at the time, but his team built a loyal following in the blue-collar, Midwest market with their valued quick service and unfussy drinks. Populace was able to expand into downtown Detroit via a chic and colorful 700-square-foot kiosk inside The Siren Hotel in the historic Wurlitzer Building. The kiosk is open to the public and also serves brewed coffee and room service to hotel guests. It’s safe to say their commitment to quality sourcing and experimentation paid off. Populace Coffee was named “Best Coffee in Michigan” by Food & Wine Magazine in 2018. This success has led Populace to seek out new opportunities in the Great Lakes State. “Both locations are right off I-75 and this new Petoskey location will be an addition to that journey for our customers heading North,” Heppner says. Heppner has purchased the former Dripworks Coffee building located at 207 Howard Street in Petoskey’s vibrant downtown. “We worked closely with the former owners to make sure we are able to build off their success in that space,” he says. 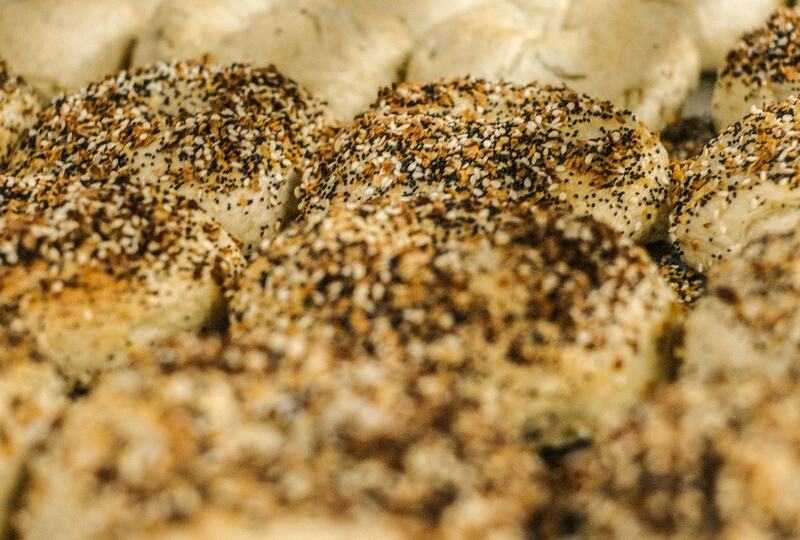 The new location will offer baked goods that have been successful in Bay City, which include bagels, hand pies, cookies and donuts. 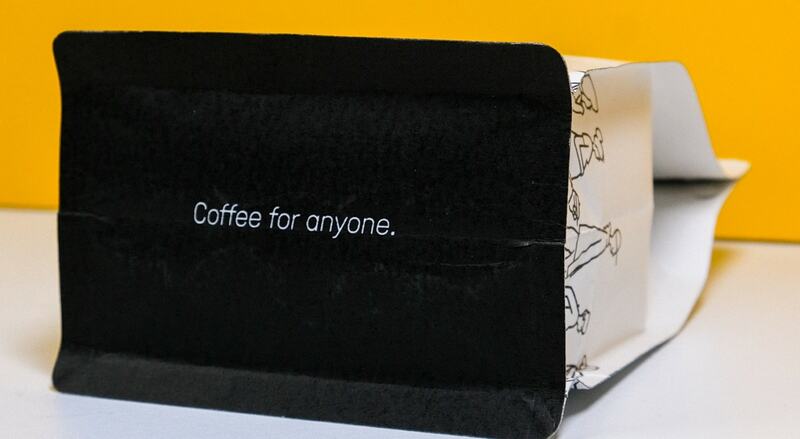 As with their other cafes, the Populace Coffee drink menu will be designed for speed while the quality of the coffee will remain consistent with their mission. We spoke with the team to learn more! Founder Andrew Heppner, Chief Creative Office Dave Daniele and VP of Retail Operations Justis Heppner are excited about bringing Populace Up North. Give us a little history! How did you get into the coffee business and what’s happened since then? I started my real coffee career by accident. Looking for a job in Los Angeles, I stumbled upon a dishwashing position at a coffee shop opening in the area I was living, Venice Beach. At the time I didn’t realize this, but the coffee company was the leader in direct trade and seasonality philosophies, and the people working at this particular shop were some of the best baristas in the world. I quickly realized the situation I was in had the chance to change my life, and I immersed myself in their coffee culture and learned as much as I could. My girlfriend at the time, Justis, came out to Los Angeles with me from Bay City. We got engaged out there and decided we wanted to come back home to start Populace Coffee. In the spring of 2010, we packed up our car and drove back to Michigan after convincing a couple of people in LA to invest some money into our new venture. Since we received the keys to our first little roasting space on the West Side of Bay City on June 1, 2010, we have been growing our business. Now with our soon-to-be third location in Petoskey, and our thriving wholesale and online business, I couldn’t be more thankful for all of our partnerships and customers. One of my business partners, Dave Daniele, came into the mix a few years ago and he took our branding and design to another level. I believe there was Populace 1.0, Dave took us to Populace 2.0 and now we are on our way to Populace 3.0. There’s obviously something special about Populace. Is there a secret ingredient to your quality and success? There is no secret. It’s really just hard work, perseverance and understanding different levels of devastation. Owning a small business is hard. Becoming profitable is hard. Managing your costs, staff and expectations is hard. You just can’t give up and you have to work daily to improve. What can our readers expect when stepping into any of the Populace locations? Our Petoskey location will be similar to our Bay City location with regards to the drink menu and our baking operation. Our Detroit location is perfectly situated in the lobby of The Siren Hotel and our menu is small and our baked goods are outsourced. Each location has its own personality, but the theme of hospitality and service are at the core of each. We design our spaces for speed and efficiency without sacrificing quality. We want you to have an amazing drink and a delicious baked good, but we don’t want you to have to wait 15 minutes for it. What’s your most popular coffee creation? We have to look out for non-coffee drinkers, too, crazy as they may be. Anything they might enjoy? We make all of our syrups and sauces from scratch at all of our locations. I would have to say that the most popular drink is either our vanilla latte or our house-made chocolate ganache mocha. We work with Spirit Tea and will do the same at our Petoskey spot. They are one of the best tea purveyors in the country and we will always have a solid tea menu. Another vendor we work with at our Bay City and Detroit locations is Drought Juice. They are a cold-pressed juice company out of Detroit and their juices are amazing. We will be fully stocked in our Petoskey fridge with four to five varieties. As an avid coffee enthusiast, I’m always curious to ask the experts: What makes the perfect cup of coffee? Perfection is subjective haha. I think the versatility of coffee is what makes it great. People can enjoy their coffee in so many different ways and situations that it’s almost impossible to define. The fundamentals of making a cup of coffee start with a few simple steps that, if done correctly, can greatly improve the chances of making that particular coffee taste better. 1. Freshly roasted whole bean coffee ground right before brewing. 2. Weigh out your dose of coffee and water making sure your ratio is set to whatever strength you prefer. 3. Brew and enjoy! Sure! We are so excited to be a part of the culture and scene in Petoskey specifically and in Northern Michigan. We love the idea that you can travel down or up I-75 and visit all three of our locations in the same day or make a weekend out of it. There is so much to see and do in Michigan and our goal is to be your trusty source of fuel along the way. For more information on the Petoskey location opening date, keep an eye on our Facebook and Instagram. We can’t wait to get to know more of you in our beautiful state. Populace Coffee is searching for a Baking Manager and a General Manager for their new location in Petoskey! If you’re interested in joining their movement or would like more information, contact andrew@populacecoffee.com.